Scisys set up a new group holding company in Ireland that acquired all shares from the former Scisys group holding company, which was headquartered in Chippenham, England (shown above). Credit: Scisys. WASHINGTON — Scisys Group, a formerly British company involved in the European Union’s Galileo satellite program, says its change of headquarters from Chippenham, England, to Dublin, Ireland, was immediately positive for its space business. Scisys is a subcontractor to Thales Alenia Space France and Spain’s GMV on the ground segment of the Galileo navigation satellite system. The United Kingdom’s ongoing exit from the European Union jeopardized Scisys’ business related to Galileo and other European Union programs such as the Copernicus environmental monitoring satellites. In an annual financial report issued March 28, Scisys said re-domiciling the company in Ireland in November preserved its role in Galileo and kept the company financially healthy. Scisys reported 58.4 million pounds ($76 million at current exchange rates) in 2018 revenue, up 10 percent, and a record backlog of 98.6 million pounds. Space was Scisys’ largest revenue-producing division in 2018, generating 21.3 million pounds. The division generated 9.4 percent lower revenue than the year prior, but still counted for slightly more than a third of its overall revenue. Scisys’ Media Solutions division generated 16.8 million pounds, up 6 percent, and its Enterprise Solutions & Defence division generated 19.9 million pounds, up 17 percent. Around 40 million pounds of Scisys’ total business backlog is space-related. Scisys said the move to Dublin enabled multiyear contracts worth nearly 20 million euros ($22.4 million) in subsequent Galileo business. To further ensure its role in the program, Scisys said it plans to transition more space work to Germany. “It is likely that — in view of Brexit — those Galileo activities that SCISYS has delivered from the UK will migrate to our German Space operations in order to comply with the EU’s participating conditions,” Klaus Heidrich, Scisys chief executive, said in a statement. Heidrich said Scisys plans to expand its presence in Bochum, Germany, and will likely outgrow its facility there by mid-2020. “Measures will be taken to accommodate the expected growth and to mitigate any risks which might affect its sustainability,” he said. Scisys is the prime contractor for the ground segment of German space agency DLR’s experimental Heinrich Hertz satellite. The satellite will use Scisys’ Pleniter software suite. OHB is building the satellite, and arranged a launch contract in 2017 with Arianespace for an Ariane 5 mission in 2021 or 2022. At the same time, Scisys is positioning itself to participate in a potential British navigation system. Last summer the British government announced a 92 million pound study on a domestic satellite navigation system in lieu of Galileo. Love said Scisys is “well placed” not only for European Union programs, but also on work related to satellite ground systems and on-board systems for a U.K. alternative navigation system. 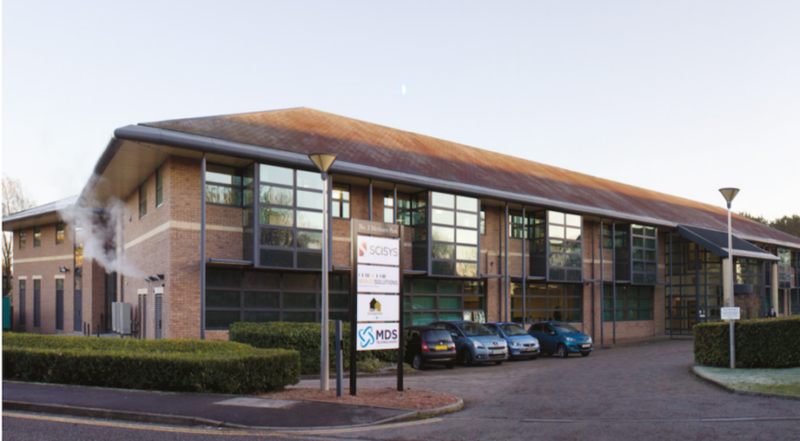 Despite the change in headquarters, Scisys retains U.K. offices in Chippenham, Bristol, Leicester and Reading. The company employs around 650 people.